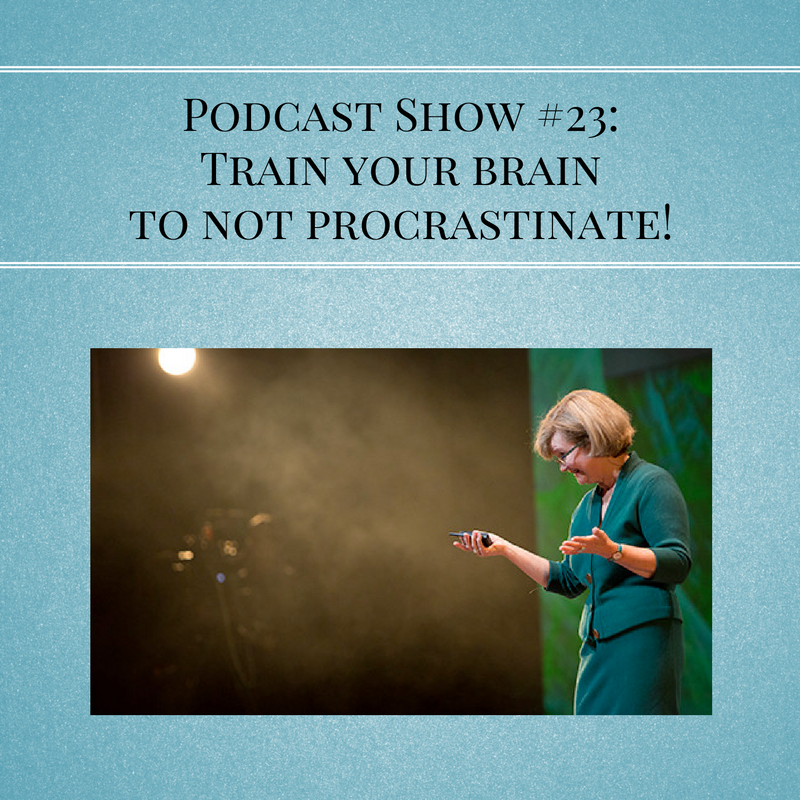 In keeping with the last show of 2016 being on goal setting, the first show this year is on training our brains to not procrastinate, with some delightfully nerdy facts and hacks from neuroscientist Dr Fiona Kerr who explains all things brain in such insightful, totally understandable ways. She shows us how we can build up a resistance to procrastination and become immune to it over time, by gently training our brains to become doers. Learn some truly practical ways to stop putting things off and start your year feeling accomplished and strong in the face of distraction. 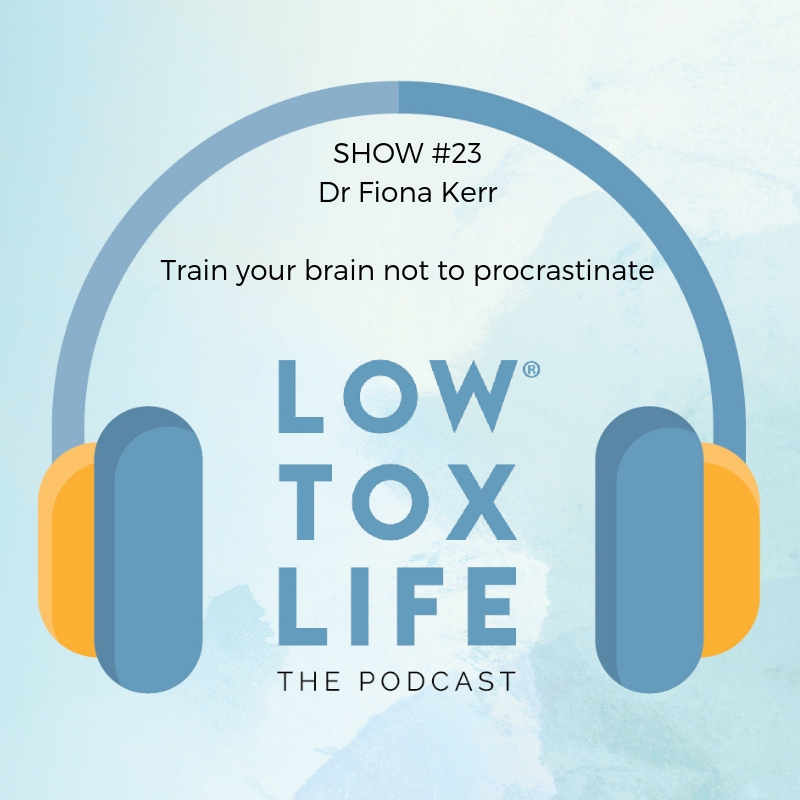 Dr Fiona Kerr is no stranger to the Low Tox Life podcast. Her episode she recorded earlier this year on sleep was so popular I simply had to have her back again to talk about procrastination. Pick one of your cued procrastination behaviours and nip it in the bud! If you find yourself scrolling through Facebook for 5 minutes every time you sit down or hitting the snooze button 7 times every morning take the time this week to concentrate on breaking that habit. 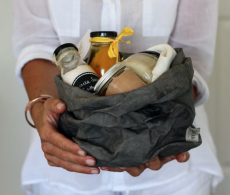 Make it your week’s focus – to kick your worst procrastination habit to the curb! So no more of this, right? 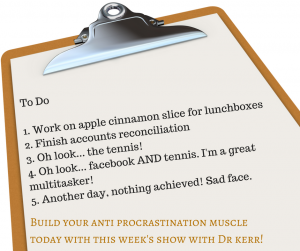 Well… slowly slowly but hopefully after today’s show you can feel a new possibility to kicking procrastination. 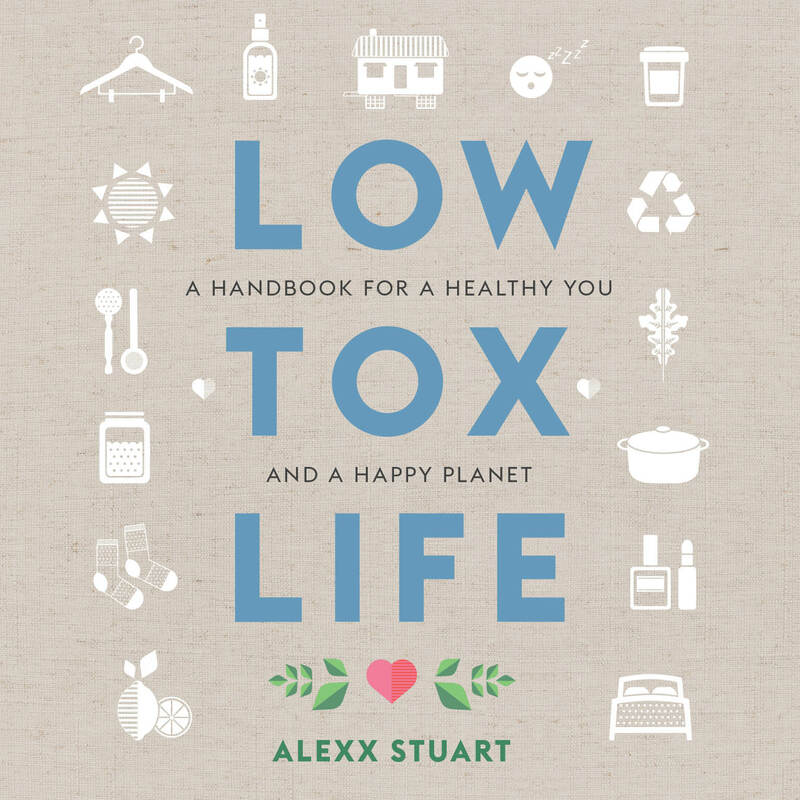 Low Tox. Happy us. Happy planet. Dr. Kerr’s comment about doing things outside of your comfort zone (i.e. using your left hand more if you are right handed) reminded me about a book I read a several years ago called “Stumbling On Happiness” by Daniel Gilbert. In the book he talks about how people who tend to make frequent micro changes in their daily activities (ex. 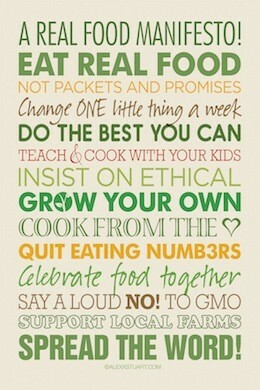 taking a different way to work each day) tend to be happier. What Dr. Kerr and Daniel Gilbert are both saying must be related in some way!